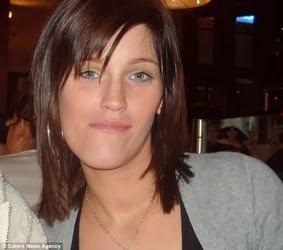 Stefanie Grant is a girl from London who, thanks to surgery of feelings, as she said, at age of 25 started to smile, after living unable to do due to a malformation that 13 years has made her lose 7 teeth. Forced to wear braces until two years ago, she said of having also suffered because, due to her expression immobility, was bullied and called freak. Look at us, on the scene. On the street, on the square. So we are symbolized, that is, in this way we are cataloged. Odd and different, irregular and strange, horrible and wrong, awkward and more than ever abnormal. Nothing new, including embarrassing synonyms and unpleasant redundancies. Sure, there are fairy tales, movies and novels to upset the balance. Okay, we know how things are. Magic wand and the ogre becomes an hero, as well as the frog, the beast is more beautiful than you think and not all the charming faces are the good ones of the story. Fantasy is a lovely balm and who among us could deny it? The most ruthless of the narratives is always there. Where we can not apply for asylum even if we would have the right. Because we are the monsters. Or you have always treated us so, since there is no difference. Nevertheless, even if it is not a fairy tale, as well in the real universe, composed of tangible truths, there is a remedy to the worst of evil: to be born monster. Or being so singled out, since both have the same reverb in our wounded heart, even in traditional form and color, as invisible to everyone. Trying to draw attention to the rest is useless, bringing down the cruel house of cards in which we are imprisoned. Yes, but I am also a good dancer. Yes, but I have a beautiful voice. Yes, but you're always a monster. We have our liberator kiss too. And we do not need the help of princely lips. We do not need the intervention of a sympathetic witch or a wise warlock, although they would have been very welcome, in the past. We know that, as monsters, to get rid of this condemnation by the god of the forms there is only one way. Incredibly tough to pass, immensely great trial for courage and character. But it is the only way and this is, perhaps, the only help. It does not happen often, but when the moment comes, we must not let it leave. Let’s be brave, let’s open our eyes and let’s admire it. The smile of the woman who was drawn like us. And in the light of this unexpected miracle let’s observe with clarity what was undeservedly dancing around her. The horrible and pestilential circle of bully normality.